This post contains affiliate links. Purchasing something through the link may give us a small commission or credit at no extra charge to you. This helps us maintain our website! Thanks for your support! Visit our disclosures, TOS, and policies page. Did you know that most millionaires have multiple income streams? They say that the average millionaire has multiple income streams averaging about 5-7. I have heard this statistic before, but I always assumed it had to be in real estate or franchising or some other way where you had to have a large net worth. This is not true! In my journey of entrepreneurialism, I have discovered that everyday people (like you and me) can develop different income streams. I don’t have 5-7, yet, but I’ll show you the few income streams I have. Many entrepreneurs start their first income stream with an MLM or direct sales. It is one of the easiest, least expensive ways to learn how to grow a business. There is a company you join and they give you an opportunity to sell their products to earn a profit for yourself. MLM is a multi-level marketing company where you have an upline and grow a downline. Many people are wary of MLM’s and that’s okay. Do what’s best for you, but don’t knock someone who is trying to earn a little extra from these types of companies. They are a great learning tool to personal development and marketing if you do it correctly. There are TONS of MLM companies, so choose one where you A) LOVE the products and B) Has a good support system. I have done several MLM’s in my lifetime (mostly because I love discounted items) and you can make money if you set goals and work hard. Be aware that although they say it’s your business, ultimately you do not own it. Any changes that the company makes or uplines deciding to jump ship to another company can derail everything you have grown. I know this from personal experience. My husband and I lost a team of over 200 overnight because of “leadership decisions” that we had no control over. Interestingly, these top leaders had already developed multiple incomes streams so they did not feel the loss as much as we did. Currently, I am a part of 3 MLM companies mostly for the discounted products that I love. However, there is only one where I have a group of loyal customers that bring in a tidy little sum of cash. 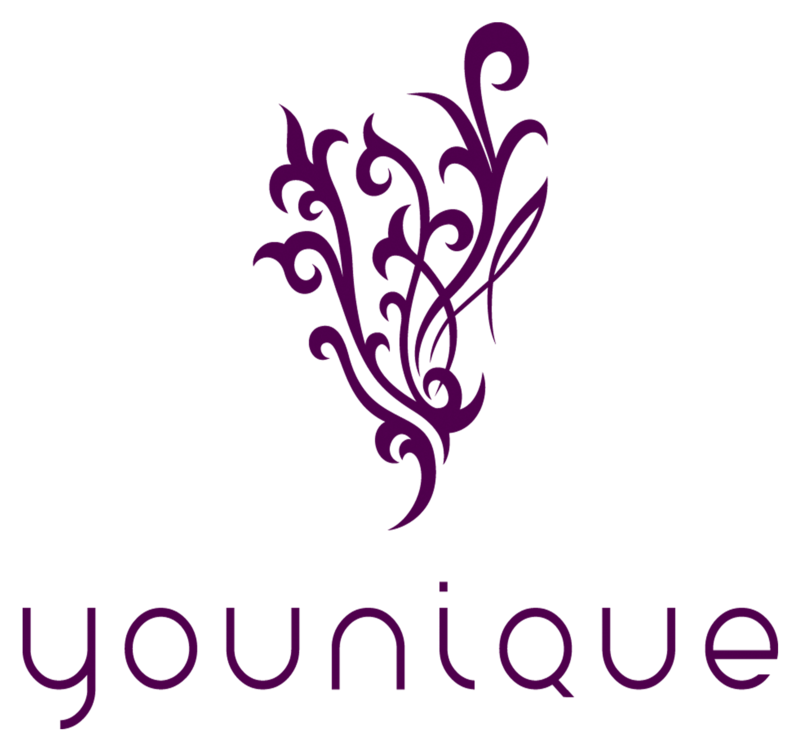 Younique is a newish makeup company that promotes naturally-based cosmetics. I fell in love with their flagship product the 3D Fiber Lashes. It was a solution to my tiny-lash problem. The other product that I cannot live without (and neither can other women apparently) is their liquid foundation. It became so popular that we just got it back in stock after 6 months! 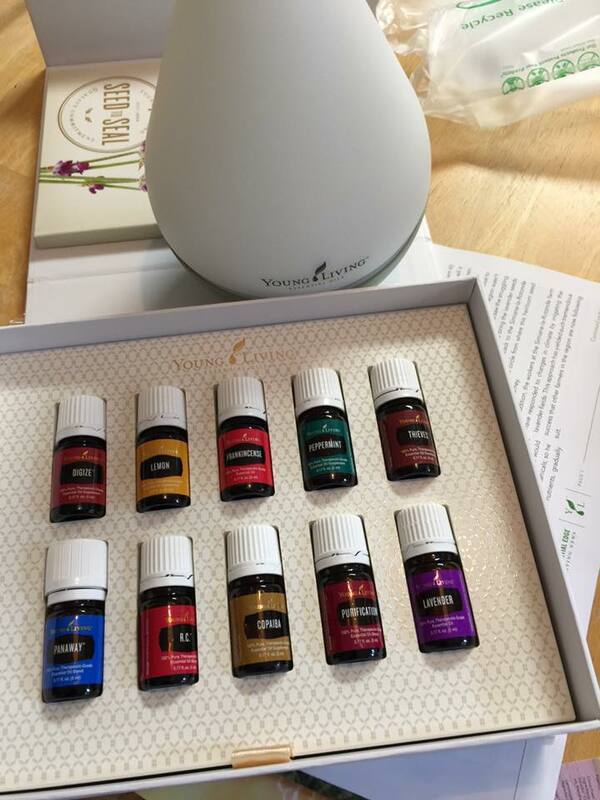 The other company that I would recommend, if it fits your needs, is Young Living essential oils. This one started with my mother. She got me a diffuser and some oils and I was hooked because my house can smell like a spa. 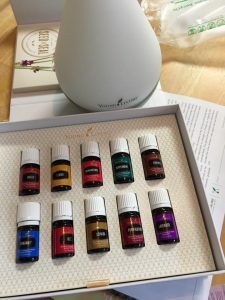 I joined because I was ordering the oils anyway and I wanted the discounted price, plus the starter kit was the least expensive way to get multiple oils to try. I think I have purchased the started kit twice now. Like I mentioned earlier, there are TONS of MLM companies out there. If you want to promote fitness, there is Beachbody and Isagenix. Want skincare? Look into Rodan & Fields. Of course, there are the ones that have been around for years: Avon, MaryKay, and Melaleuca. Do your research. Find a company where you like the products and their mission. Find a sponsor that will help you reach your goals! If you do not have business experience an mlm is one way to learn how to run a business. I have owned this blog for six years. 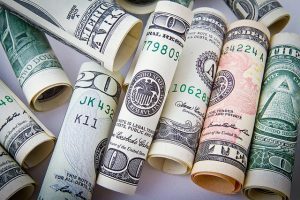 I had several hundreds of followers but had no idea how to make money from it. In fact, I had to stop blogging for a while because I decided to return to grad school. That move alone did a number on all those followers I once had. I wish I knew then what I know now. YOU CAN MONETIZE A BLOG. I went to my PF Chang’s post and found the products I mentioned in the post ant linked them to my Amazon Store. Hey, wait a minute! That link just leads to the normal Amazon Store!! Yes, but I have set up an associates account where that link I just typed has my personal affiliate code on it. Whenever you talk about or promote a product that can be found on Amazon, make sure you have your affiliate link linked!! I have had people buy the products directly from the post! It’s a pretty awesome way to get some cash for talking about something you already use. In the 40 days to 40 Birthday post, I had detailed an elaborate countdown for my husband’s 40th birthday. Thanks to Pinterest, that is one of my most repinned posts ever! In fact, I had people contacting me asking for the tags I made. Originally, I had posted PDFs of the tags, but then I had the challenge to make a product out of something I was giving away for free. I took all the elements from that post and created an entire 40th Birthday Kit for $5.99. People buy it because I am saving them HOURS of time in figuring out how to do a special birthday surprise. Yay! Information is knowledge. If you want to learn about something particular, you can scour the internet and research any topic and learn all you can about it. To save time, find someone who really knows the topic you want to learn about and buy their course. Click on the 40th Birthday link a few sentences above, you will notice that the store it is in has two other courses within one for marriage and one for setting up a WordPress Site. If you are very knowledgeable in a specific area, there may be others out there who want to learn from you! We did this with my husband’s website, Acting Career Info. He has a post that gets several hundred hits a day and many of the people on that post ask the same question over and over. As a result, he created two short courses to help people get started in acting. It doesn’t have to be perfect. Some people film on their phones and upload the information. My Marriage Kit was all filmed and edited on my phone! The two companies I use to do this are: Shopify and Printful. I used my old web design address AGHDesigns.com and created a store that I can shop from! There are other ways out there, but these are the four that bring in a little extra cash. Most of these are fairly new so the income is not much, but some money is better than none, right? These 4 multiple income streams are ideas to help you begin your entrepreneurial journey. Try one and see what you think. 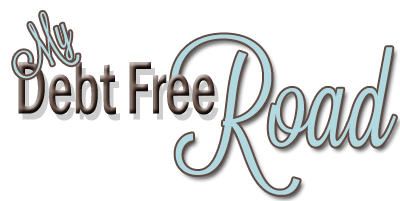 If you already have a blog with a decent following start with #2. The easiest and quickest way is to link items you’ve mentioned to your Amazon Store. You can set one up yourself, but if you are unsure how, here is a mini-course by my friend, Nicole: Amazon Store Setup Guide. If you have done one of these four, which one have you had the most success? Glad I could help! I learned a lot of this from Nicole Walters and her 1K1Day class. Very good idea Anna Herring, “Millionaires have Multiple Income Streams”. Yah, if one project failed the next one will act for success. Some idea you have added here is totally new to me.